How do I sort lessons and questions by confidence level? 2. 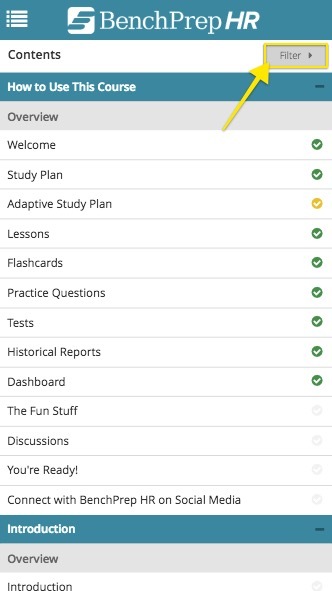 Tapping each of these settings will bring up questions or lessons that are marked with these different confidence levels. 3. In BenchPrep HR courses, the Lessons section looks slightly different. 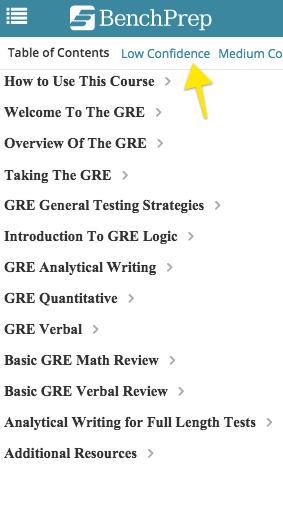 To sort lessons by confidence level, tap the "Filter" button in the upper right-hand corner of the table of contents. 4. 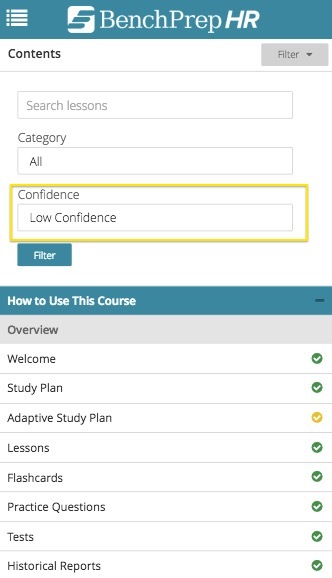 Use the Confidence filter to sort lessons by your chosen confidence level. Can I use the desktop app instead of the mobile app on a mobile device? How do I access games in the mobile app? 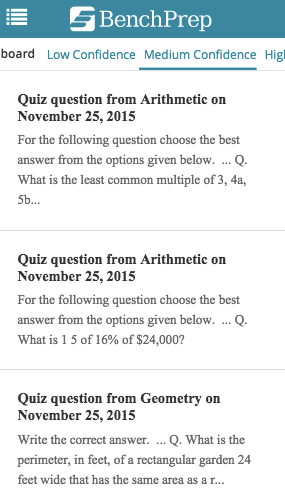 How do I access public and custom flashcard sets on the mobile app? How do I change my test date in the mobile app? How do I mark and sort flashcards by confidence level? How do I mark my confidence level on questions? How do I stop the mobile app from pausing games after each round? How do I sync the mobile app and the web app? 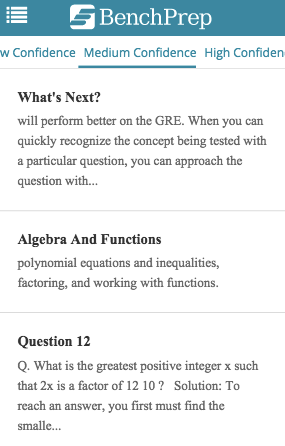 How do I take practice tests on the mobile app? 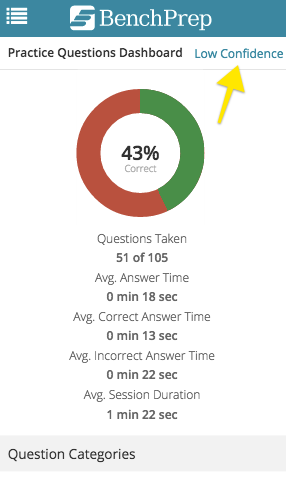 How do I turn on/off automatic answer review after practice questions? I downloaded the mobile app, but it won't let me log in. What should I do? I have an older BenchPrep mobile app installed on my device. Will this app still work? My course isn’t showing up on my mobile device. What do I do? What will happen if I work on the web and mobile apps simultaneously? Where are my notes and bookmarks? Where can I find discussions on the mobile app?